If you are looking at the header picture on all my pages, you will notice the dotted line running from Yakima, WA to Chehalis, WA. This is the 1878 surveyed route by C.A. White for the Northern Pacific Railroad. It is also the route the CC&C railroad had planned to use before it went bankrupt in 1955. In my later version of history, this route owned by the Great Northern and Northern Pacific Railroads became the Pacific Cascade Railway. 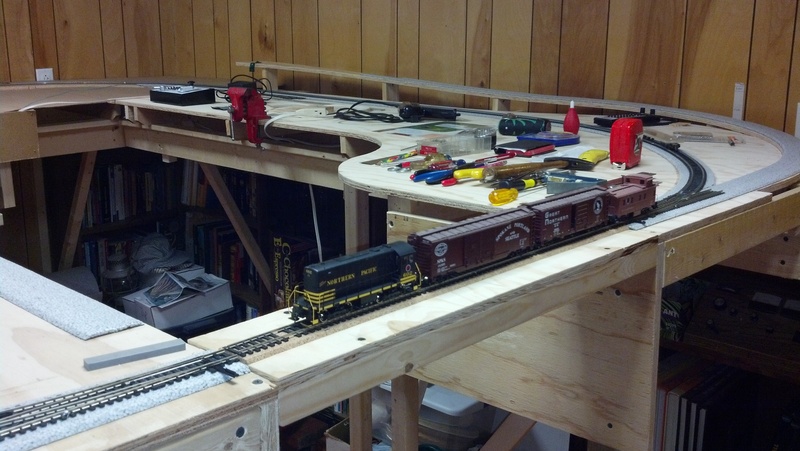 I am now modeling that route, and the picture you see is my Anyrail CAD drawing of the future layout in our basement. 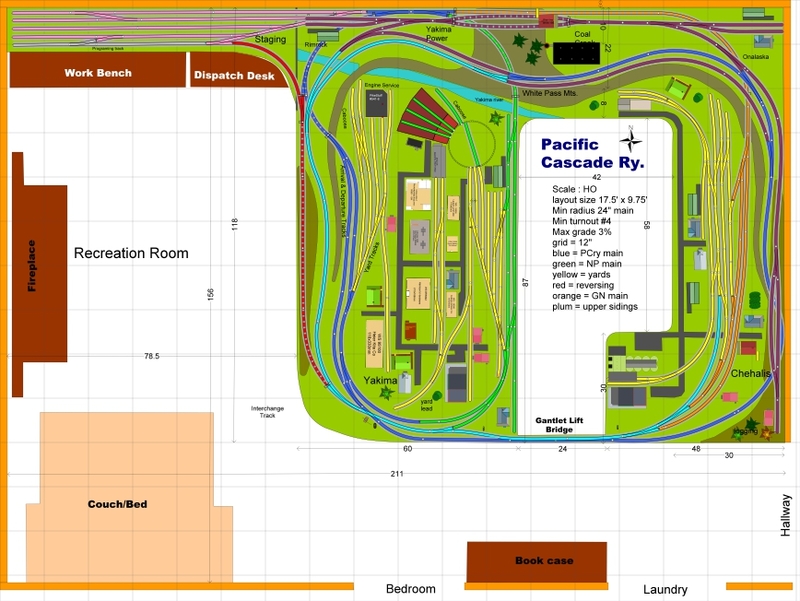 In 2013, I had a significant part of the layout built and could run trains around the outside and inside loops. Then I hit a mental wall trying to build and hand lay the gauntlet track with an internal crossing (four frogs) on the access bridge. It couldn’t be done in the space available. I then made a big mistake and tore down the central bench work peninsula and made plans to model the Vancouver yards on a smaller “L” shaped layout. This new plan just didn’t feel right after having done years of field research on the NP surveyed route and the CC&C roadbed. So, in 2015, I started over, solved the bridge gauntlet problem, rebuilt the central bench work, and am happily again building the Pacific Cascade Railway. I will continue my Blog on the construction.